The type of auto AC system used to keep you cool and comfortable depends on the year, make, model, and engine size of your vehicle. 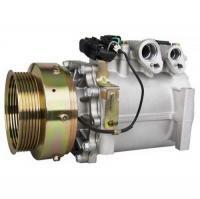 We carry a full line of new and rebuilt auto AC parts to fit any car. Use our easy search function to find the OEM or aftermarket parts you need by year, make, model, and engine size, or search for a specific part by manufacturer model or part number. Every part we sell is guaranteed free of manufacturer defects, and we'll back that guarantee for a full year. Check our warranty policy for full details. If you can't find what you need, give us a call toll free at 1-800-726-2310. Our automobile AC parts specialists will offer expert advice, help you find the right parts for your vehicle, and walk you through the secure ordering process.